From 10 – 13 October 2017, inter airport Europe 2017, the 21st International Exhibition for Airport Equipment, Technology, Design and Services will take place at the Munich Trade Fair Centre in Germany. 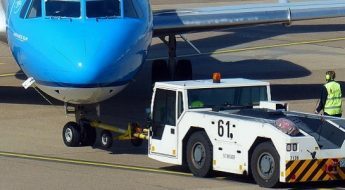 Renowned as the leading one stop shop event for the entire airport industry, inter airport Europe is the first choice for airport operators when it comes to sourcing the latest airport equipment, technology and services for ground handling, terminal operations, airport IT and airport design. 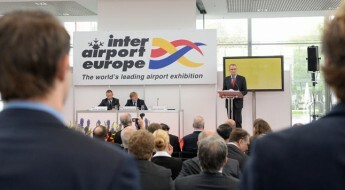 With its international audience of industry professionals from airports, airlines, air cargo carriers and aviation support the exhibition offers suppliers to the airport sector a unique marketing platform. As air traffic continues to boom, airports face many challenges. The key is to integrate the many disparate airport systems and apply automation to reduce substantially the time aircraft spend on the ground. To see how our solutions work together to provide enhanced efficiency across the airport, visit us on stand 1420, Hall A5 at inter airport Europe in Munich, 10 to 13 October. Make an appointment with an ADB SAFEGATE expert and get free admission to inter airport Europe 2017. All you need to do is let us know when you plan to visit, share your details and let us know when you’d like to meet with us. We’ll get back to you with a confirmed appointment via your mail calendar!